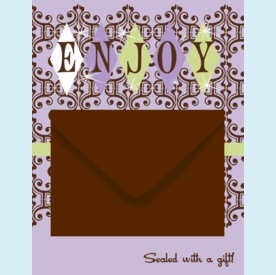 These folded notes are designed to hold a standard size gift card, cash or check! Mailers are purchased as singles. 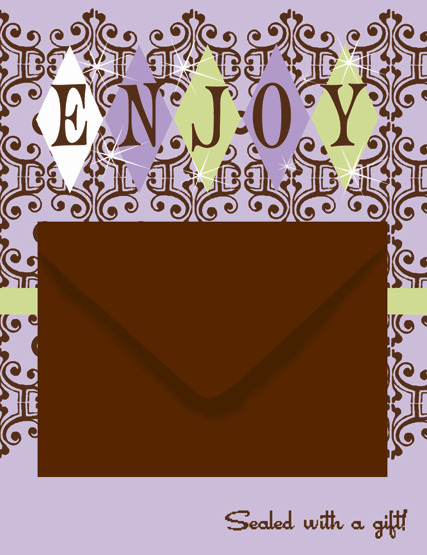 Sparking gift card envelope attached to front; lavender mailin envelope included. CLOSEOUT...only 4 left!